SORRY I AM NOT TAKING ON ANY NEW PATIENTS AT THE MOMENT. PREVIOUS PATIENTS ARE STILL WELCOME TO BOOK. 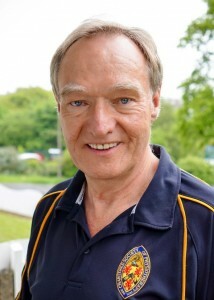 Hi, I’m Dan Turley, a qualified physiotherapist with more than 30 years experience. I can treat sports injuries, work-related injuries, chronic conditions and whatever else life has thrown your way. I use a range of techniques, including hands-on manipulations, kinesio taping, ultrasound, core exercise programmes, and more. I became a full time private practitioner in 2009 and I am treating people from all over Belfast and Northern Ireland. I can take daytime and evening appointments. I was a senior physio in a hospital setting from 1986-2003 and a superintendent from 2003-2009. I also have been a physio with the Armagh football team, the Antrim county teams, football and hurling and the St. Paul’s football team. I qualified as a physiotherapist at the University of Ulster, Jordanstown. The map below is interactive, you can zoom in and move it around.